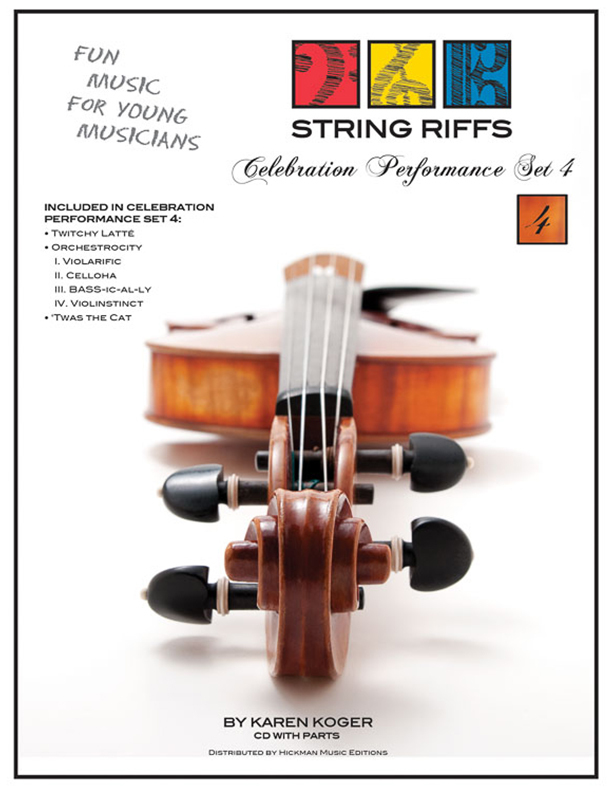 String Riffs Celebration Performance Set 4 offers concert repertoire with two substantial pieces plus an excellent multi-movement suite. 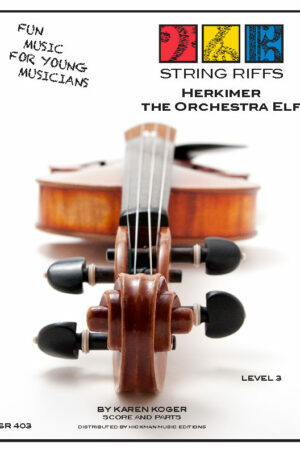 Explore “Twitchy Latte,” “’Twas the Cat,” and the four sparkling movements of Orchestrocity: I. “Violariﬁc,” II. “Celloha,” III. BASS-ic-al-ly,” and IV. 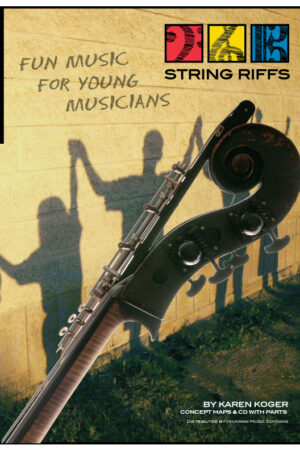 “Violinstinct.” Levels 1.5 – 3 for string orchestra. Pep up your day with syncopation, controlled glissandos and jittery tremolos. Take a sip and dance the java jive using soli phrases passed between instruments. Each instrument takes the spotlight in a movement of this engaging suite. I. Violarific – The alto clef shines in 6/8 through resonant repeated viola notes over flowing accompaniment. II. 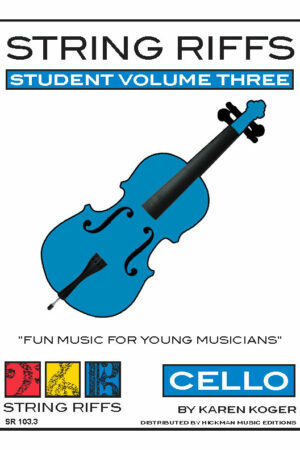 Celloha – Upper strings lay down a tropical pizzicato beat under a swaying cello melody. III. BASS-ic-al-ly – The growly bass steals the show against a counterpoint of jazzy rests, accents and pizzicato. IV. Violinstinct – Violins move to center stage in a perpetual-motion treat reminiscent of Bach’s Brandenburg Concertos. This sinuous feline twists, turns and scampers across the strings, meowing as she navigates a challenging time-signature change.